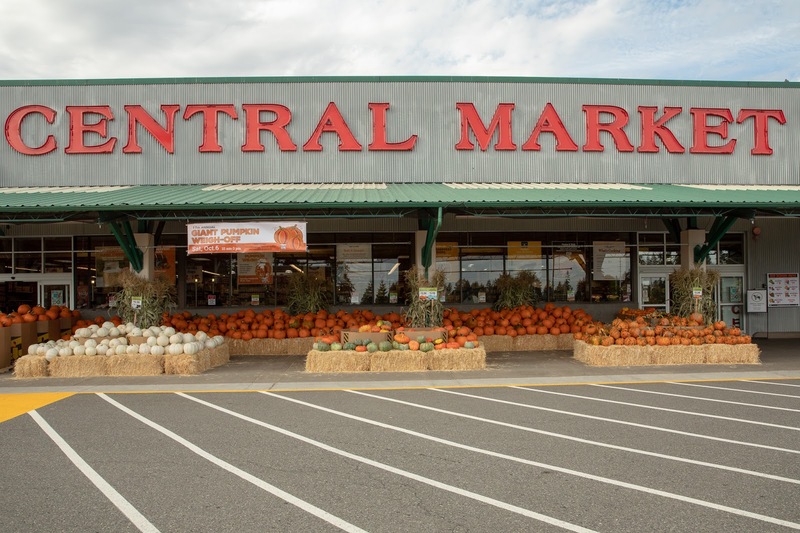 The pumpkins have arrived at Central Market in Shoreline at Shoreline Place on Westminster and Aurora. Orange and white, large, medium and small, they are ready for pumpkin bread, pumpkin pie, and Halloween jack 'o lanterns (start practicing now). White jack o' lanterns aren't as strange as you may think. 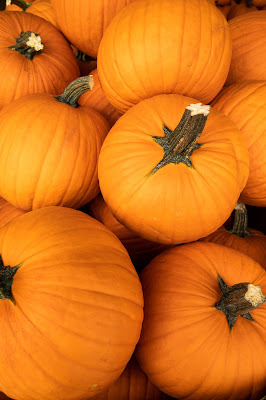 The original jack 'o lanterns were carved from turnips. Large turnips. 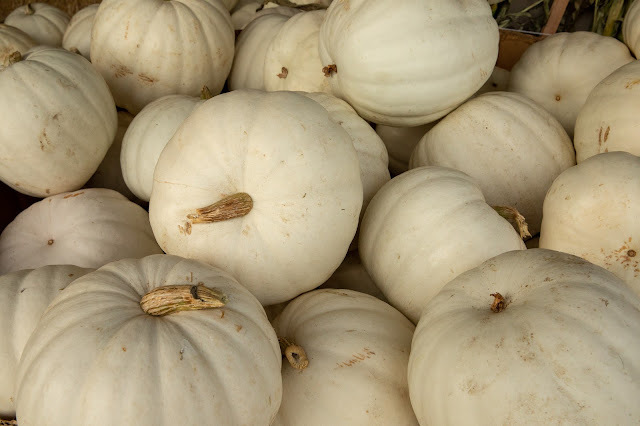 Next week the trucks roll in with the giant pumpkins for the 17th Annual Pumpkin Weigh-Off. 10am - 3pm Saturday, October 6. These behemoths tip the scales at over a thousand pounds.